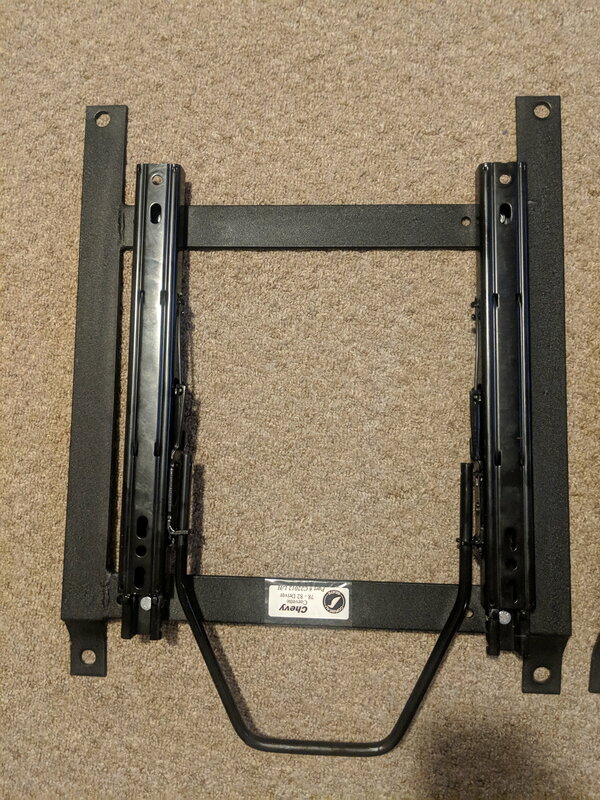 For sale are gently used sliding seat brackets to mount Corbeau seats to the C3. Both driver p/n C22012L/H and passenger p/n C22012R/H brackets included for the 78-82 vette. Driver's side in excellent, like-new condition. Passenger's side has some slight paint chipping. Both brackets retail for $120 each. Asking $150 plus shipping for both. Not sure what Corbeau Seats are, but would these mount OK to a set of buckets out of an 81? I need the extra headroom, and my 81 seats have power brackets on them. 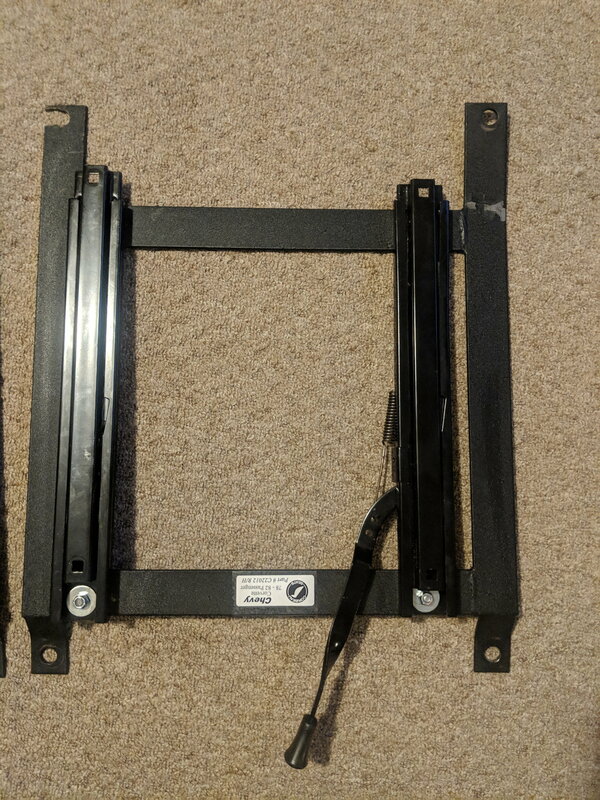 They will most likely not be a direct fit to the seats and I am unsure of the amount of modification that might be needed- I am willing to measure the mounting locations on these brackets for you to compare to your seats, though, if you would like? Corbeau is a brand of aftermarket seats.